I left London last night for Cambridge. On the way, I had a chance to reflect on the conference. The positive, friendly vibe, and the extremely well-run venue. Wi-Fi everywhere, espresso machines and baristas keeping me happy and caffeinated. I saw no explicit mention of knowledge sharing per se, but many companies are talking about commoditizing or productizing knowledge in some way. Perhaps the most noteworthy was an update from Martyn Millwood Hargrave at Ikon's booth. In addition to the usual multi-client reports, PowerPoint files, or poorly architected database, I think service companies are still struggling to find a model where expertise and insight can be included as a service, or at least a value-add. It's definitely on the radar, but I don't think anyone has it figured out just yet. 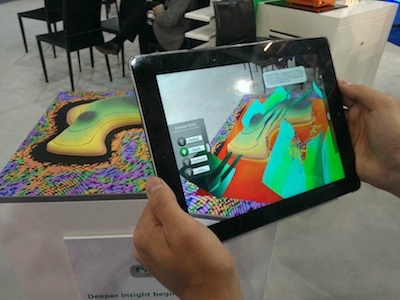 This notion of 3D seismic vizualization and interpretation is finally coming to gathers. The message: if you are not going pre-stack, you are missing out. Pre-stack panels are being boasted in software demos by the likes of DUG, Headwave, Transform, and more. Seems like this trend has been moving in slow motion for about a decade. Another bandwagon is modeling while you interpret. 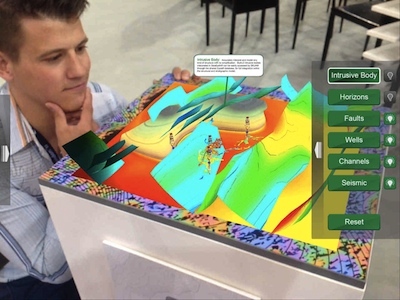 I see this as an unfeasible and potentially dangerous claim, but some technologies companies are creating tools and workflows to fast-track the seismic interpretation to geologic model building workflows. Such efficiencies may have a market, but may push hasty solutions down the value chain. What do you think? What trends do you detect in the subsurface technology space? This year is the 20th anniversary of the release of Seismic Un*x as free software. It is six years since the first open software workshop at EAGE. And it is one year since the PTTC open source geoscience workshop in Houston, where I first met Karl Schleicher, Joe Dellinger, and a host of other open source advocates and developers. The EAGE workshop on Friday looked back on all of this, surveyed the current landscape, and looked forward to an ever-increasing rate of invention and implementation of free and open geophysics software. Just another beautiful geomorphological locality in Google's virtual globe software, a powerful teaching aid and just downright fun to play withAt one of my past jobs, we were not allowed to use Google Earth: 'unlicensed business use is not permitted'. So to use it we had to get permission from a manager, then buy the $400 Professional license. This came about because an early End-User License Agreement (EULA) had stipulated 'not for business use'. However, by the time the company had figured out how to enforce this stipulation with an auto-delete from PCs every Tuesday, the EULA had changed. The free version was allowed to be used in a business context (my interpretation: for casual use, learning, or illustration), but not for direct commercial gain (like selling a service). Too late: it was verboten. A game-changing geoscience tool was neutered, all because of greyness around what commercial means. Last week I was chastised for posting a note on a LinkedIn discussion about our AVO* mobile app. I posted it to an existing discussion in a highly relevant technical group, Rock Physics. Now, this app costs $2, in recognition of the fact that it is useful and worth something. It will not be profitable, simply because the total market is probably well under 500 people. The discussion was moved to Promotions, where it will likely never be seen. I can see that people don't want blatant commeriality in technical discussion groups. But maybe we need to apply some common sense occasionally: a $2 mobile app is different from a $20k software package being sold for real profit. Maybe that's too complicated and 'commercial means commercial'. What do you think? But then again, really? Is everyone in applied science not ultimately acting for commercial gain? Is that not the whole point of applied science? Applied to real problems... more often than not for commercial gain, at some point and by somebody. It's hopelessly idealistic, or naïve, to think otherwise. Come to think of it, who of us can really say that what we do is pure academy? Even universities make substantial profits—from their students, licensing patents, or spinning off businesses. Certainly most research in our field (hydrocarbons and energy) is paid for by commercial interests in some way. I'm not saying that the reason we do our work is for commercial gain. Most of us are lucky enough to love what we do. But more often than not, it's the reason we are gainfully employed to do them. It's when we try to draw that line dividing commercial from non-commercial that I, for one, only see greyness. A few weeks ago we launched our first mobile app, Volume*, now available in the Android Market (you can jump right to it with the barcode on the right). 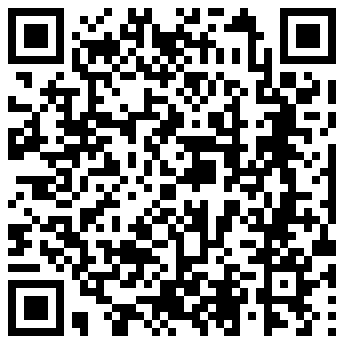 If you have an Android phone or tablet, please check it out! Today, I thought I'd write a bit more about I built the app, show you some of the gory details, and tell you about the latest update. I have used an Apple iPhone for several years. It's probably the loveliest technology I've ever owned. But now it's gone, it's over between us, and it will never come back. Because now I've found Android. Last Wednesday I got a Google Nexus S, chosen for its relative purity: built by Samsung, it's a Google-branded phone, so it has less of the carrier's fingerprints on it, and it gets OS updates faster. But it's not the phone I love—it doesn't have the industrial beauty of the iPhone®. It's not even Google's Android™ operating system that I'm besotted with—though it is pretty fantastic. The thing I love is App Inventor. If you've never tried programming a computer, you really should give it a try. For me, learning to program transforms a computer from a mere tool into a workshop. Or if you prefer, from an instrument into an orchestra—sounds a bit less utilitarian that way. And I tentatively assert that you will never look at a problem, at least a technical one, in the same way again. 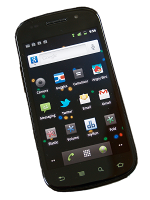 Google App Inventor™ is a programming environment for your phone. You do the programming in a web browser, but the thing you build runs on your phone, or anyone else's phone (as long as it's running Android, natch). Everything is free. And it's easy. Not 'quite easy'. Really easy. If this doesn't sound pretty amazing, you should probably stop reading now. I had each app working, in a basic way, inside an hour. The only slightly tricky thing is setting up the logic to handle blank fields, weird oilfield units, and that sort of thing. Aesthetics can also be fiddly, especially if you are making custom graphics. But if you skip looks and error handling, perhaps because you don't intend to give the app to anyone else, then you can be done in under an hour. Evan and I have barely started to explore the tools available. The language inside App Inventor is based on MIT Scratch, the building-block visual interface with a long history at MIT. The vocabulary is very rich: there are math processes, logical constructs, text handlers. You can access the phone, email, the GPS, and even the accelerometer (for instance, in our apps you can shake the phone to clear the parameters and start over). 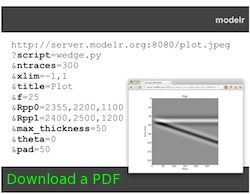 You can draw interactive graphics, scan barcodes, or build a persistent database. The only problem we've run into so far is the final hurdle: you cannot (yet—App Inventor is still in beta) easily publish your finished app to the Android Market, so that others can download it. There are non-easy ways, and we hope to have our apps up soon. They will be free, though we may experiment with freemium. Next week I'll write a bit about Volume* and show you how the inside of it looks. In the meantime, give it a try... or if you prefer, let us know if there's a killer geoscience app you'd love to have on your phone. I'm on a roll! The Wikipedia articles on Android and App Inventor are very nice summaries. There are a couple of books coming out in the next week or two: App Inventor , co-authored by one of App Inventor's creators, Hal Abelson (with others; O'Reilly), and App Inventor for Android by Jason Tyler (Wiley). There are lots of blogs and forums devoted to App Inventor, such as tAIIC and App Inventor Blog. iPhone is a registered trademark of Apple, Inc. Android and App Inventor are trademarks of Google Inc. Agile is not connected in any way with any of these marks or companies. I am excited. 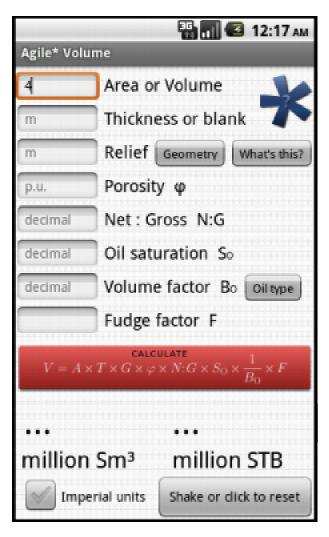 I have just successfully got the Volume* app into the Android Market, so it is available for download. I am very open to feedback... I am new to more or less every aspect of this, so you won't hurt my feelings! Our sole aim is to be useful. 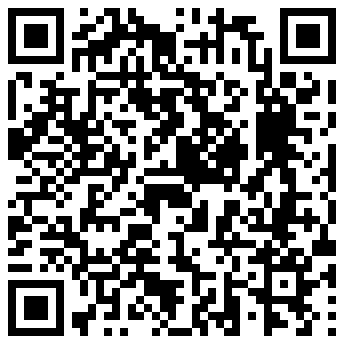 You can scan this QR code with your Android phone to visit the Maket and install the app. Please have a look and rate our app in the Market!